Ladies, get your Pinterest boards ready. It was only five days ago that Blake Lively announced her and Ryan Reynold’s pregnancy with a perfect sunset-lit photo, and now the expecting star has released a plethora of gorgeous images from her baby shower on Preserve. From clotheslines with baby clothes to a tablescape with gourds and carrot cake, Lively’s shower felt like the ultimate maternity-themed Anthropologie catalogue. Scroll down to see all the pics! On Lively: Sam & Lavi Lyna Top ($148) and Seren Skirt ($178). 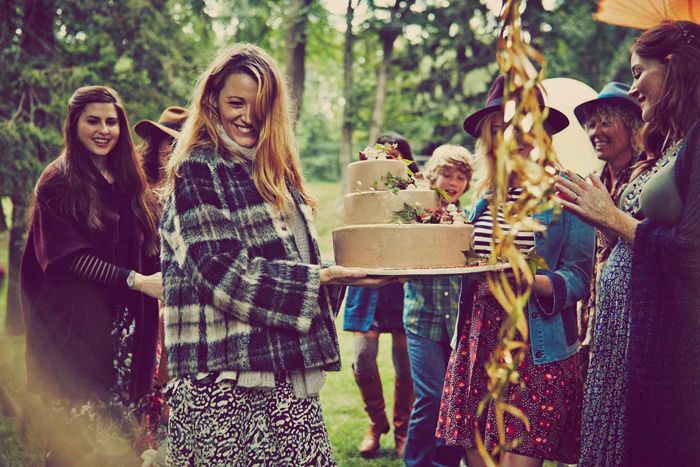 Do you think her baby shower was as adorable as we do? Let us know in the comments below!